Investing in an airline has always been a risky option. In fact, many speculators view investing in airlines as an expensive “hobby” – something one does for fun but doesn’t expect to be paid from it. Competition between carriers is fierce, and even more so in airspace-deregulated Europe. Low margins and ever-rising jet fuel prices make the entire industry a high-cost, high-risk, and high-stress operation. So it wasn’t all too unexpected that Air France-KLM shares fell by almost 50% over the past year. 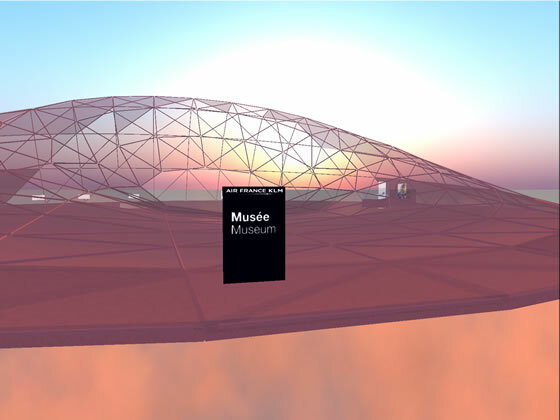 What was unexpected was the creation of a new venue in the Second Life virtual world aimed at providing shareholders with a very different way of experiencing their quarterly financials. And the whole thing has a sweet irony in that the airline industry is one that has zero value in a world where teleportation makes airplanes redundant. The “île dans le ciel” is a wonderful construction that resides high in the clouds some 200 meters above the ground. According to its designer, Tatiana Saloman, it is “an almost immaterial atmosphere where the light marries the transparency. An invitation for a journey in a world of poetic dreams.” It certainly does present one as a vast, airy location made up of glass and clouds. 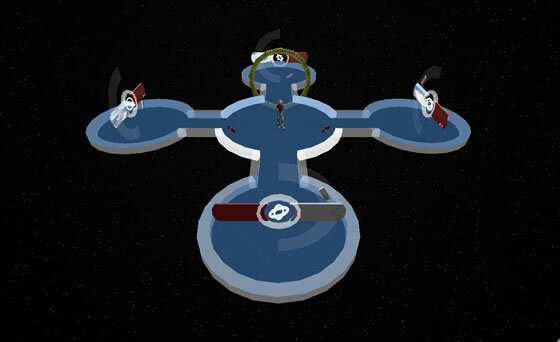 Intrepid shareholders are provided with a “Help Area” for newbies and a special “jet pack” that has to be worn in order to use the teleport system. 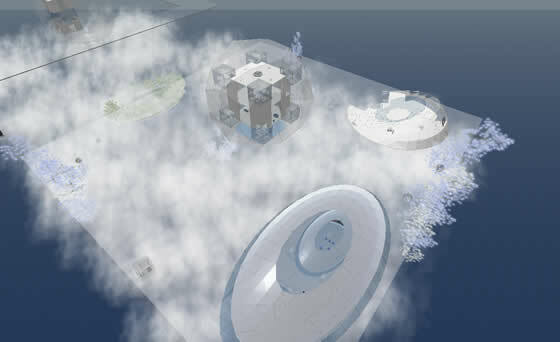 There is a central Hub area that acts as a starting point to take you to one of four buildings: the Home sphere, the Museum, the Lounge, and the Auditorium. The Home sphere contains a virtual library where shareholders can find the latest financial reports and information about the fleet, and the Lounge contains more stock information as well as a statement on corporate social responsibility. To get an idea of the history of the group, visitors can go to the Museum, which features posters and scale models of historic Air France and KLM planes. Finally, the Auditorium is a huge, open-spaced glass structure containing a large screen on one side and a large conference table at the other. A link to a Flickr® slide show presentation of the sim can be found at the official Air France-KLM in Second Life site. The creation and deployment of the sim was undertaken by i-marginal, a company that has been in business for ten years, specializing in what they describe as “new media.” This includes web pages, Flash applications, blogs, interactive animations and web-based videos. Even if you are not a company shareholder, you should consider visiting the build and exploring the buildings and multi-media presentations. It’s well worth the trip.